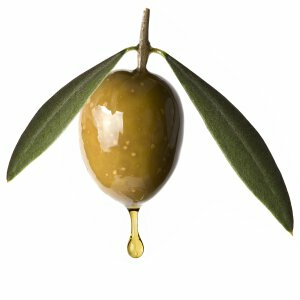 Olive is an evergreen tree that mainly grows in the Mediterranean region. The tree grows to 9 meters tall and takes 15 years to bear fruit. The oil has a heavy texture and can vary in color from a pale golden yellow to dark green. Linoleic acid is a component of olive oil that the human body doesn't produce. Linoleic acid prevents water from evaporating, making olive oil the perfect natural lubricant. You can use olive oil as a daily moisturizer that will penetrate deep into the skin, meaning that the moisturizing effects will last much longer than those of most commercial lotions.